BEIJING, January 11. /TASS/. China has successfully put into orbit the Zhongxing 2D telecommunications and broadcasting satellite, the Xinhua news agency reported on Friday. The Long March-3B carrier rocket blasted off from the Xichang Satellite Launch Center in the southern province of Sichuan at 01:11 local time on Friday (10:11 Moscow time on Thursday). 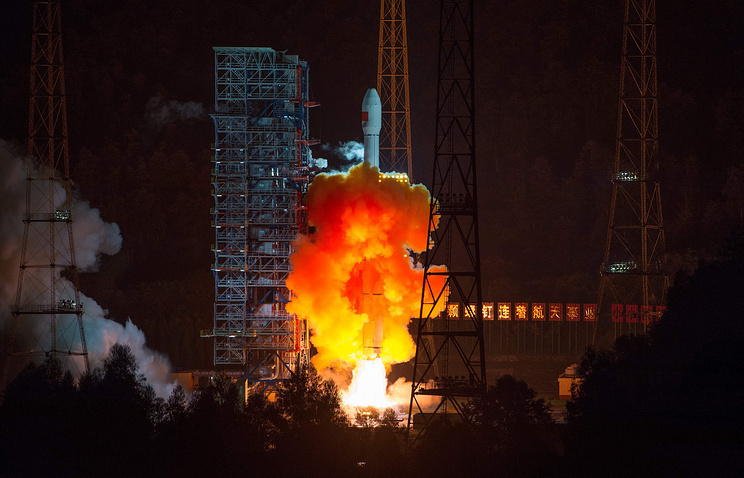 It was China’s first space launch this year. The satellite will provide transmission services for the country's radio, television stations and cable television networks. It will also be used for a wide range of telecommunications services for data transmission and broadband internet connection. It was the 298th launch for a Long March-series rocket. China actively pursues its national space program, launching numerous meteorological, telecommunications and navigational satellites. Besides, the country has been developing technologies to study asteroids and Mars. According to official information, China carried out 39 space launches last year.